Dinner parties on the fly are pretty common in these neck of the woods. We've never gained a proper, formal table setting so we like to improvise with mismatched charm. 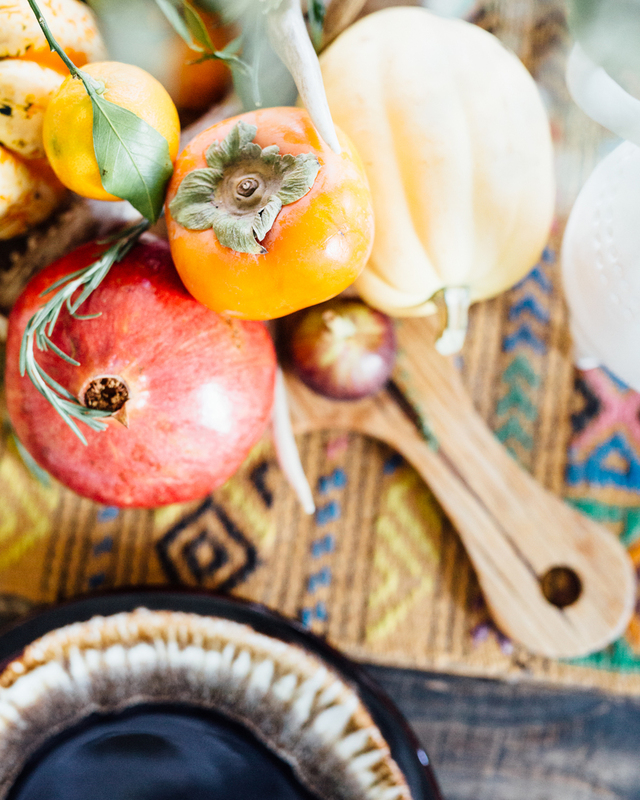 Scroll for some tips to create a harvested tablescape foraged on a budget! We're always a fan of bundling together Trader Joe's eucalyptus bunches with jute string and draping over a window or mirror. Merci linens disguise old, mismatched flatware, dressed-up with a sprig of rosemary. Try peppering in some fresh herbs into the flower arrangements for an edible garden that compliments your spread. 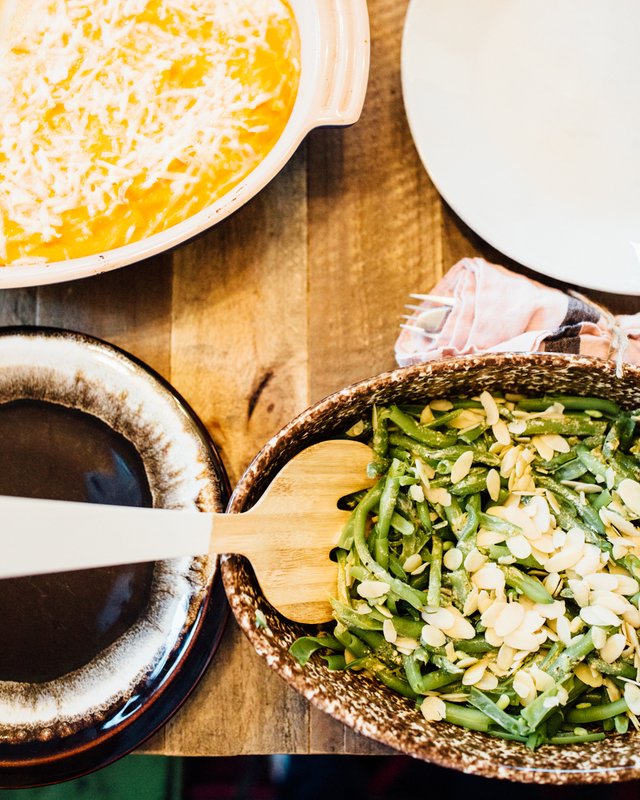 Guests can help themselves to extra flavor. Seasonal farmers market goodness like squash, persimmon, and pomegranate create a charming and inexpensive harvested centerpiece.